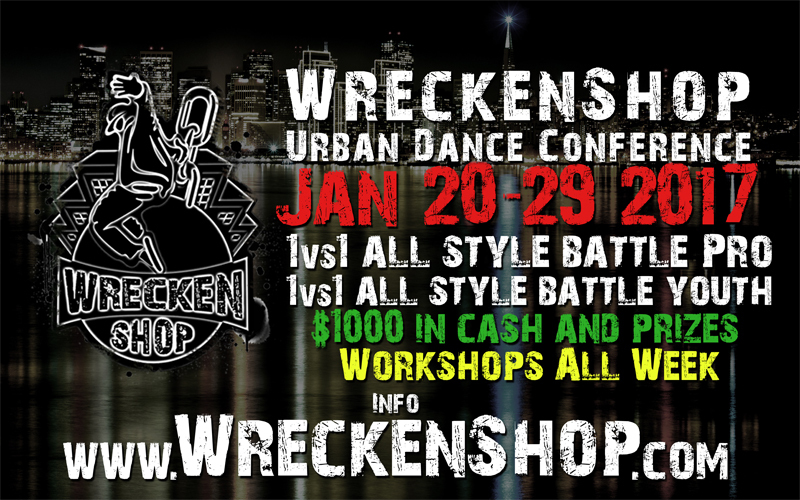 WreckenShop Urban Dance Conference is all about bringing the best teachers from all over the world to share and grow with all of the amazing dancers that come to our event every year. This year we are excited to bring our teachers to 3 different studios for our Battles and Workshops (City Dance San Francisco, Full Out Oakland, Dance Mode San Carlos). Find a studio that is closest to you or find your favorite teach and follow them to all 3 studios. 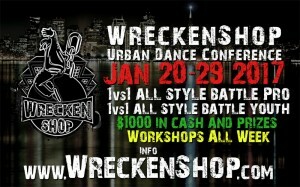 Every workshop will be different so taking from the same teacher will not be the same workshop.